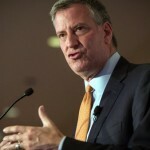 A major New York newspaper is calling upon Mayor de Blasio to take a page out of Jerusalem’s book by supplementing the city’s emergency response fleet with specialized medical motorcycles manned by paramedics. An editorial that appeared Monday in The Daily News suggested the use of ambucycles which can weave through tight traffic because of their small size, providing quicker response times in emergencies. Having paramedics on scene earlier to stabilize patients before ambulances arrive would allow them to administer life saving treatments expeditiously in situations where every second counts. 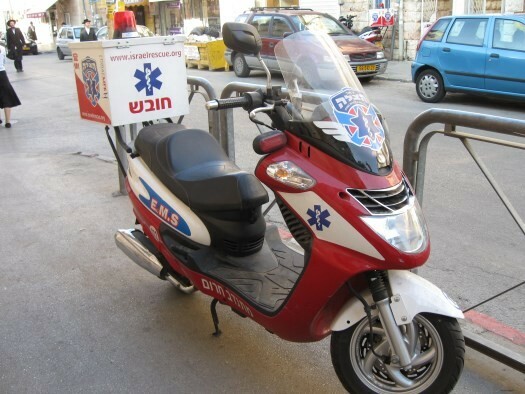 The Daily News article noted that ambucycles have been used successfully by Jerusalem’s United Hatzolah which now has 2,500 first responders at the ready, arriving on scene at emergencies in as little as two to four minutes. Both London and Melbourne also use ambucycles, which are equipped with lifesaving equipment and medications. Almost 1.5 million emergency medical service calls were logged in New York City in 2015 and as the number of calls has increased, response times have slowed, introducing delays that can have life threatening consequences. The Daily News praised Commissioner Daniel Nigro of the FDNY for his plans to test specially equipped SUVs manned by a paramedic and an EMS supervisor to provide initial care at Bronx emergencies this summer, but suggested that ambucycles may be an even better idea. The idea of putting ambucycles on city streets is not a new one. Former Mayor Michael Bloomberg donated an ambucycle to United Hatzolah in 2005, but noted that they were not viable in New York City because of state law requiring two paramedics to respond to every medical emergency according to Pix11 News. 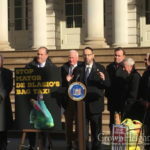 Changing state law would require the support of both the city council and City Hall but given Mayor de Blasio’s expressions of support for ambucycles during his tenure as a city councilman and then as public advocate, The Daily News urged de Blasio to step up to the plate and once again explore the possibility of bringing ambucycles to city streets.